The community access channel and its associated resources and facilities are an important mechanism by which residence of Saratoga may identify more closely with their city, their community and take pride in the varied events, activities and interests of their fellow citizens. 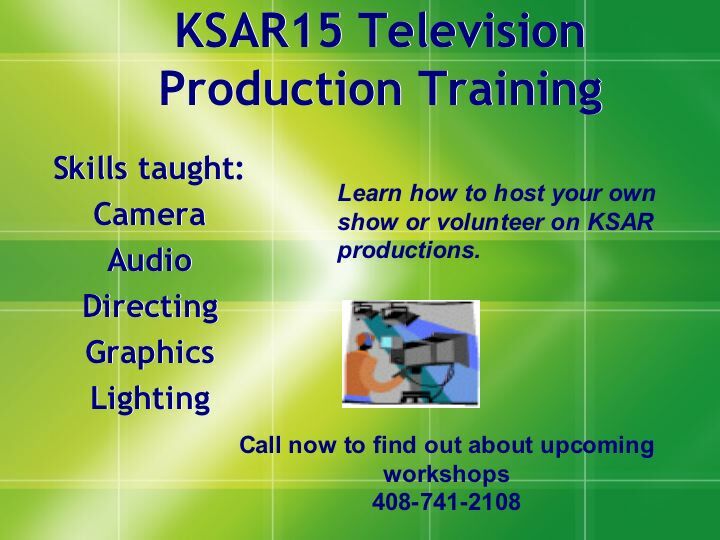 At KSAR15, we look forward to working with you to produce programming that has an impact on our community. KSAR15 facilities are available to community members and non-profit organizations to produce local programming. KSAR15 provides assistance to non-profit organizations in producing and airing public service messages. KSAR15 operates a television bulletin board for non-commercial use for announcing local events and services.